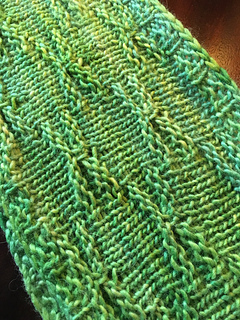 Begun and ended with an off-beat ribbing pattern, this cowl uses a long stitch technique to add subtle textures resembling the dragonflies found around Coosaw Creek Golf Club in beautiful Charleston, SC. 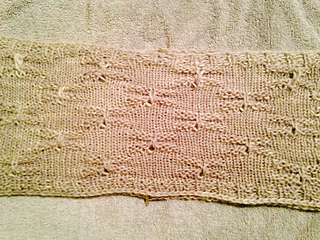 When finished, the long length should be long enough to wrap twice around you and keep off any chill with style. 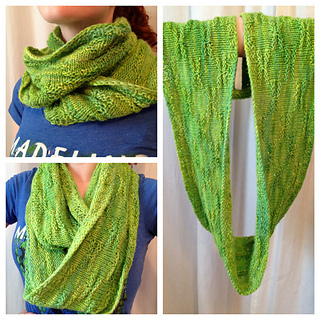 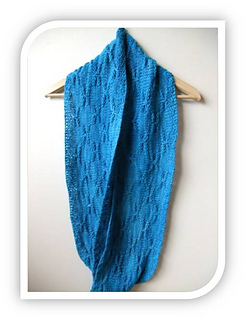 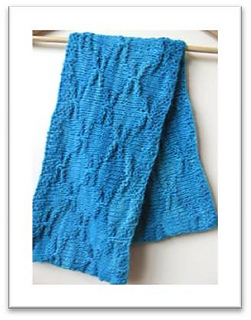 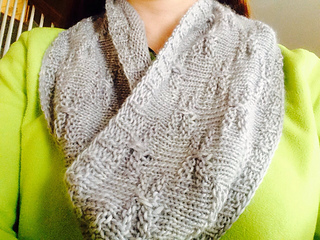 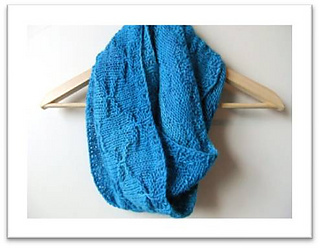 The short length can be made out of one skein of yarn.